With Summer fast approaching there is no better time to be outside enjoying your garden.However as we know being out in the sun for long periods of time can lead to many health problems for you. Whether it be enjoying a glass of wine on a summer evening or ensuring your garden is kept in tip top shape, Shade Experience has Garden Shade Sails ready to protect you and your garden. 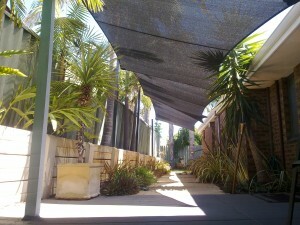 Why should you install garden shade sails with us at Shade Experience? We have been Shade Sail industry leaders in Perth since 1995 for both domestic and commercial clients and are renowned for our customer service and quality work. 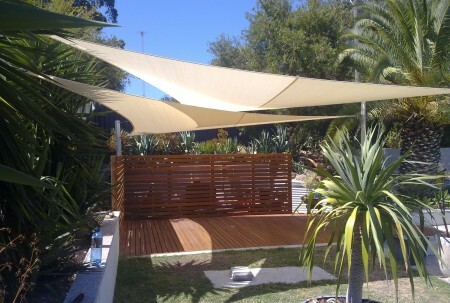 Any home can be improved with a garden shade sail, especially here in Perth where the climate is generally hot. We know that overexposure to the sun can have negative effects on our health, including sunburn, higher risks of skin cancer, and premature aging. No matter what you’re doing outside and regardless of the weather, you will be exposed to some Ultra Violet radiation, which we know has many negative impacts on our health. Our shade sails at Shade Experience are engineered to protect you against harmful UV rays and are built to last for 10 years against UV degredation. Enjoy the outdoors with the confidence that your skin has an extra layer of protection against those harmful rays of ultra violet radiation. Our shade sails will also protect your plants, pools and outdoor furniture from the radiation that can degrade their quality. There’s nothing better than relaxing in your backyard on a warm summers evening. Sitting outside with a glass of wine or a beer is a favourite summer pastime of all Australians. Shade Sails are excellent for ensuring greater amounts of ventilation and a cooler outdoor environment to ensure that you don’t burn up while outside in Summer time! Our shade sails aren’t just heavy-duty. They also come in various colors and designs, which can give your own garden a more vibrant look, adding to the overall beauty of your home. Shade Experience are well known for the elegance and the quality of our work and it is a reputation we are proud of. 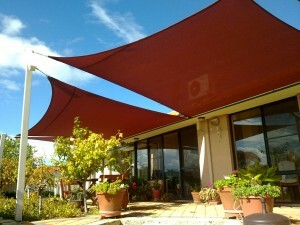 There are so many reasons to install a shade sail for your home and garden. They are great for your garden, but also for the people in the garden. On top of that, shade sails keep your garden cool from the heat, allowing you to enjoy tending to your garden more and spending more time in the beautiful Perth summer. They also add to the overall aesthetic of your home by giving it a more dynamic look through its designs. We at Shade Experience offer different packages that cater to both residential or commercial needs. Our service is all-inclusive, which means we can take care of everything from start to finish—starting with designing, to the manufacturing, all the way to shade sail installation. Give us a call now at (08) 94179988 to get a free quote!